A patio makes a fantastic addition for practically any home. That’s especially true if you enjoy spending time outside. If you’re planning to add a patio to your home, a concrete patio could make an excellent choice. Many people use these terms interchangeably, so it doesn’t particularly matter what you prefer to call it. One difference might be that a terrace is generally elevated, but that will ultimately be determined by your home and yard. Remember that a guardrail is generally needed for any area that has over 30 inches of elevation. If you have a limited amount of space available, you don’t need to make much of a decision regarding placement of the patio. However, if you have plenty of room to play with, it could be a tough decision. Generally, you want your patio to be somewhere with a nice view and shade. If you already have a pond or other feature, you can always place the patio relative to it. 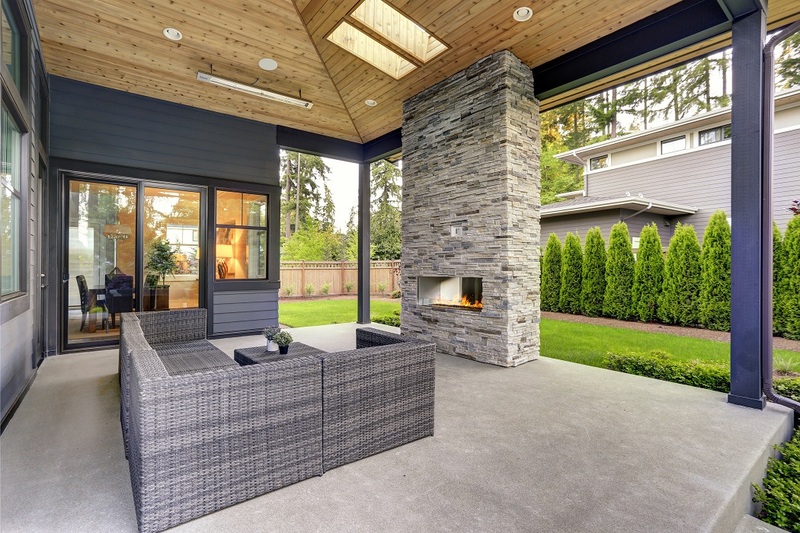 It’s important to get the most out of your investment, so it’s wise to put your patio in a location that will be easy to access and great for entertaining guests. When pouring concrete, the site will need to be inspected prior to placement. That means that a permit is absolutely needed. If it’s a fairly large patio, you’ll have to consider drainage. Obviously, this means that the patio must be sloped away from your house. You may also need a sediment and erosion control plan. Be sure to have your permit in order before any work begins. There are a lot of materials that you could use, but concrete is more durable and versatile than most materials available. With coloring techniques and stamping tools, concrete can be incredibly beautiful. It can also be formed into practically any shape, so even unusually shaped yards or homes can easily be accommodated by a concrete patio. With concrete contractors in Reno, NV, you can have an amazing outdoor space that’s great for entertaining. Contact the experienced staff at Action Concrete to see how a concrete patio can transform your yard.